Shame on me—I haven’t done a Magpie Moments post in forever! With the release of the Founder audiobook and the Heir ebook and paperback release on the horizon, I figured it was time. What’s that? 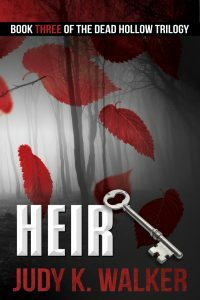 You didn’t know Heir was imminent? Well, then you must not be in my Reader Group (hint, hint—you can sign up here). 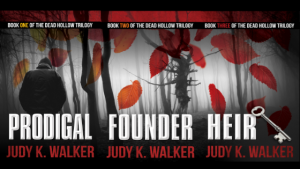 I’ll tell you what I told them: the tentative release date for the third book in the Dead Hollow trilogy is October 10, 2018. Woo hoo! And even if you’ve already read the first two books in the series, I recommend rereading them (or at least skimming the final chunk of Founder) before then. You may have forgotten where we left our heroes, and our villains, and there are a lot of seeds planted in the first two books that come to fruition in the final one. On to our main feature. For a bit of context, our hero Adam Rutledge is traveling in a pickup with Teddy and Harlan. (That’s all I’m telling; if you’ve read it and don’t remember who they are, or where and why—say it with me now—you need to reread it.) The two older men are discussing the fact that the poop is about to hit the oscillator, and Harlan is not happy about what this might mean for Adam. In fact, I had to snip a bit from the beginning of the quote to avoid a Harlan f-bomb. “That’s where our magic elixirs come in,” Teddy said, gesturing over his shoulder. 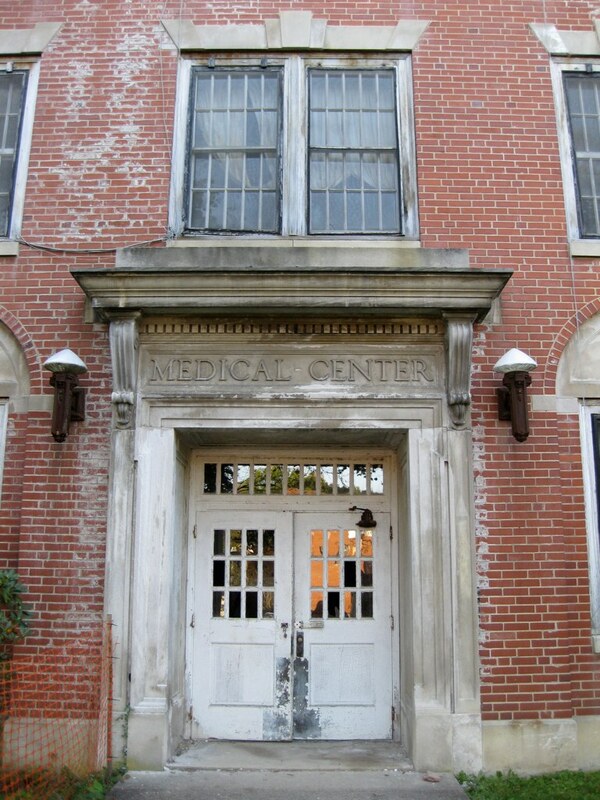 Weston was the home of an infamous state mental hospital, invoked regularly on the schoolyard when Adam was a child. He’d imagined it as something out of The Shining, all malevolence and shifting, twisted angles. “They don’t send people there anymore,” Teddy said. 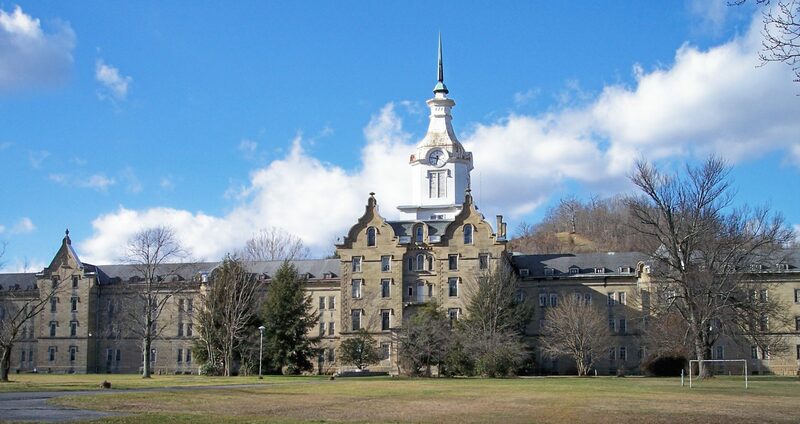 “Weston” is a real place, both the town and the sanitarium, in North Central West Virginia. And it was regularly invoked when I was a kid as the place crazy people (or maybe just misbehaving children) would be sent. It was so ingrained in our consciousness that I still remember the first time I met a resident of the town. I was a teenager at some academic gathering or other and must have visibly reacted when the cute guy across me reluctantly admitted he was from Weston. I say I must have reacted because he visibly reacted to my visible reaction.  Someone probably even joked about whether they’d let him out or he’d escaped. 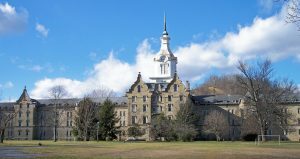 Weston State Hospital, which began its operations in 1864 as the Trans-Allegheny Lunatic Asylum, is a National Historic Landmark. 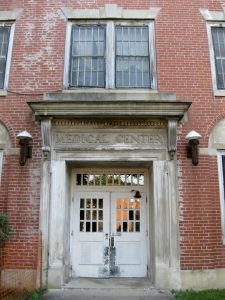 The hospital was meant to be self-sustaining, having its own farm, dairy, waterworks, cemetery, and a nearby coal mine. Of course mental health treatment, and the willingness to fund it, have undergone radical changes over the decades (including a dark period of hundreds of lobotomies in the overcrowded 1950s). Teddy was right—they don’t send people there anymore and haven’t since the 1990s. Among Weston’s corporeal claims to fame (emphasis on claim): that it is the largest hand-cut stone masonry building in North America and second largest in the world, behind only the Kremlin. No wonder it’s fallen into such disrepair. As for non-corporeal claims, it’s apparently been featured in several paranormal investigation television shows. Did I mention the area of the of the grounds is coincidentally 666 acres? That’s according to Wikipedia, not the haunted tour operators. 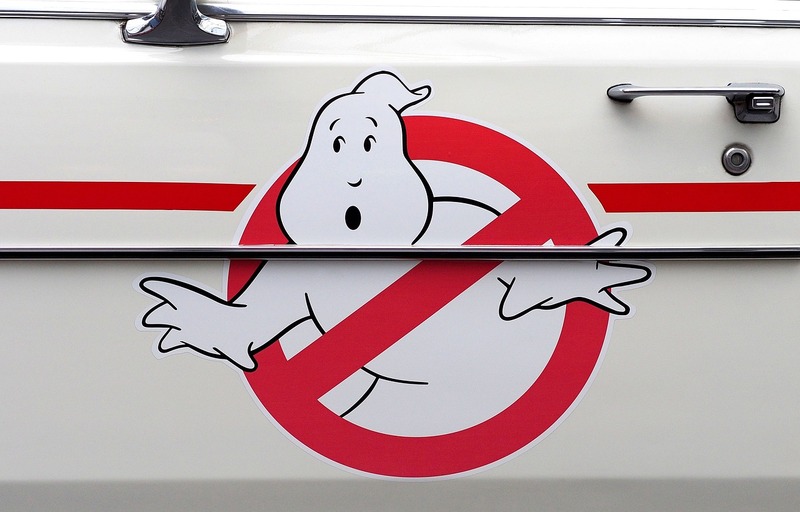 Yes, there are haunted tours—OMG, how much fun would that be! The current owner does a variety of Historic Tours and Ghost Tours, presumably as part of their restoration efforts. You can do the Ghost Tours during the day or at night, if you dare. 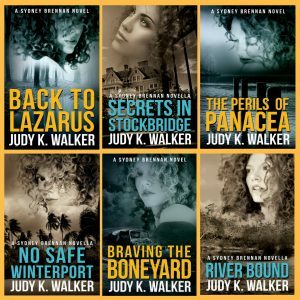 Serious about the paranormal? You can even book a private overnight (9 pm to 5 am) Ghost Hunt, bringing whatever equipment you’d like.